I will blame Facebook, but I did also think instantly of my almond farmer husband when I saw this recipe. He LOVES snickers. Like I find a few snickers wrappers a week in his truck. I bought Halloween candy and he automatically takes all the snickers out of the bowl for himself. I knew he would love this recipe, so I knew I had to make it for him. The original videos I watched for this recipe had peanuts, which is what snickers uses after all. Peanuts though! Peanuts are a forbidden ingredient in my house. I do not buy them, I do not own them, I do not eat them. 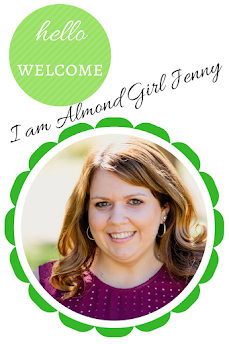 Nothing against peanut farmers, but I have a pretty good supply of almonds and walnuts. So why would I buy and eat a competitor nut? Well actually peanuts are a legume, not a nut, but you get my point. 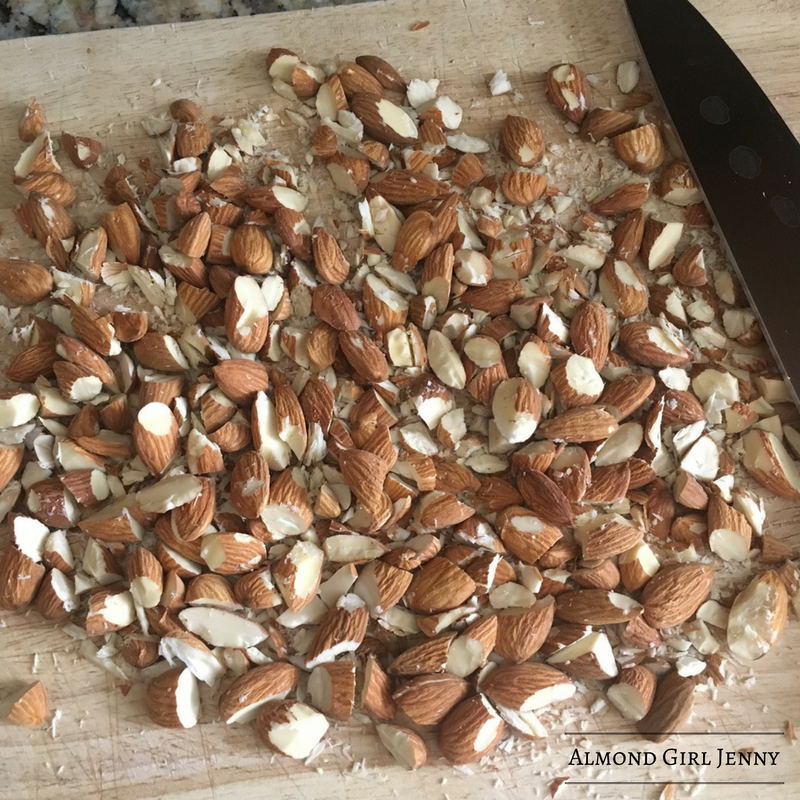 When I see peanuts on a recipe, I pretty much know I can substitute almonds and it will turn out like 100 times better. And guess what, they are still AMAZING!!! The recipe is pretty easy and doesn't involve cooking really so it is a good one to try when looking for an easy dessert to bring to a party. In fact, I plan on bringing these to an end of harvest lunch we are hosting at the farm this weekend. That is if my husband doesn't eat them all before then. The only thing I had to cook was the melting the butter and marshmallows on the stove. Easy peasy! 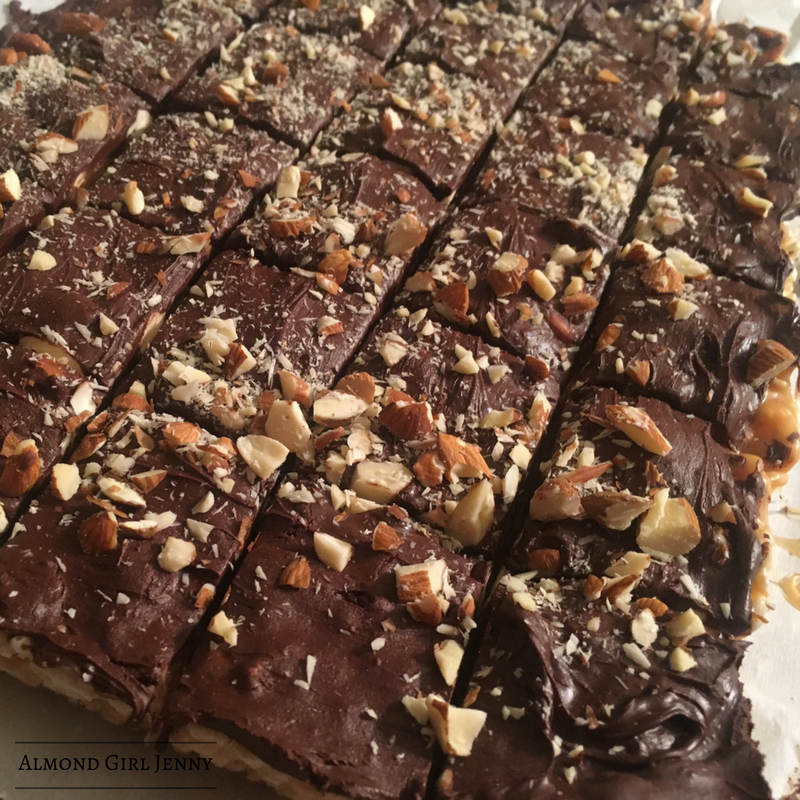 The hardest thing about this recipe, those caramel squares. I seriously unwrapped over 50 caramel squares. That was so annoying! 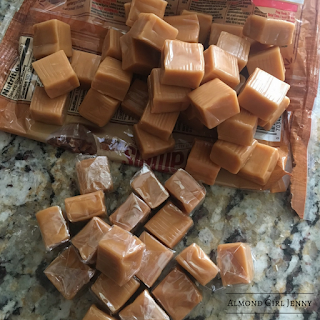 I understand if they don't wrap them individually they would all stick together in the package, but someone please come up with a different way to sell caramel. 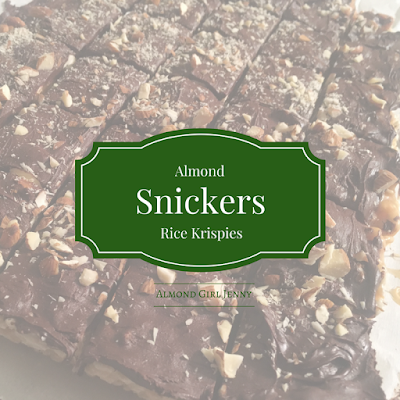 The steps are pretty easy, make rice krispies, cut up almonds, melt caramel, melt chocolate, eat and enjoy! 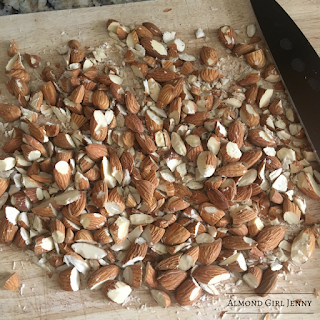 I did of course try a little something special on this batch and sprinkle a few extra almonds on top, this is an optional step for those almond lovers. 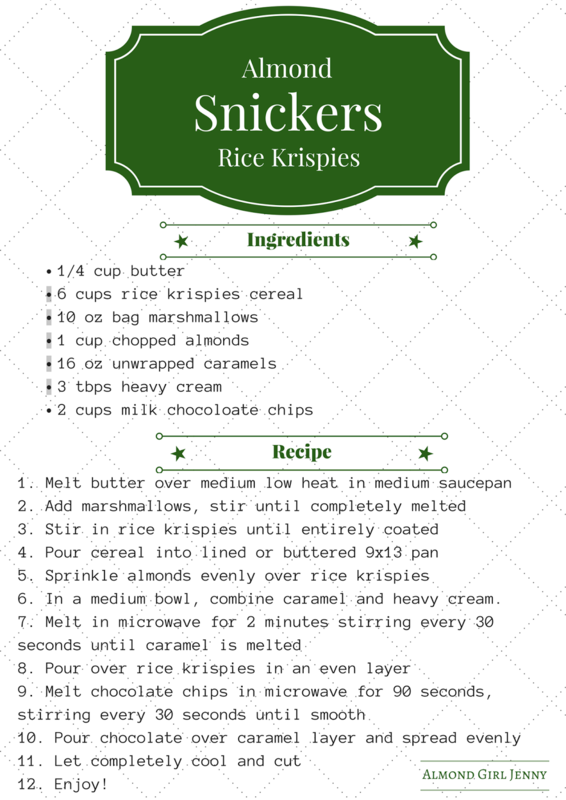 I hope you all try this recipe and enjoy it as much as we did. 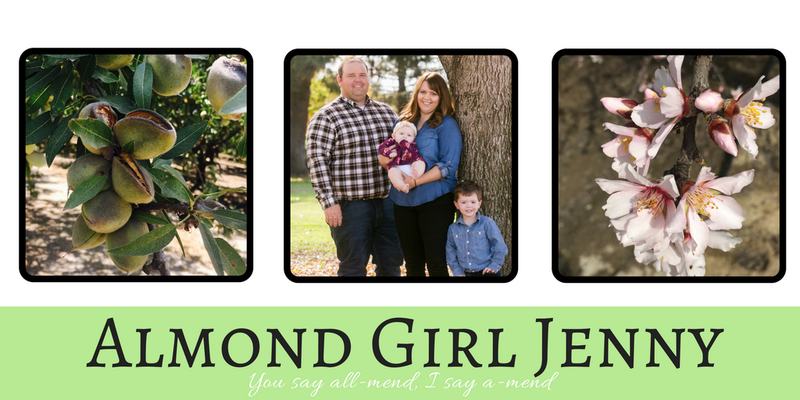 The only problem will be trying to keep my husband away from them so I can bring them to the party this weekend!